Missoula KOA Kampground is your family fun headquarters for a perfect Western Montana visit! We are open year round with limited facilities during the off-season. You will like our friendly service while camping under trees with green grass. We are consistently a top-rated campground. Our KOA Kafe & Gathering Place serves pancake breakfasts daily (June 14th thru August 18th) and is also available for your meetings, family reunions, parties, etc. We invite you to come on in and relax, watch TV or movies . Join us for ice cream at the Gathering Place during each evening (summer season) featuring huckleberry, chocolate, vanilla and a daily flavor. Play video games and pool at our Fun Center video game room; check out the fun cycle and banana peel bike rentals, unique yellow 9-hole mini-golf, planned fun activities for all ages, a new playground area with new equipment & group bonfire pit, and much more! Check out our KOA MOUNTAIN MERCANTILE (open year round) with a blend of high quality apparel, Montana souvenirs & gifts, huckleberry products, University of Montana Griz Wear, groceries, child toys & apparel section and more! KOA Value Kard Reward holders receive a 10% discount on any souvenirs or apparel items. We are FUN FOR ALL AGES! Come to Missoula and tour the US Smokejumper Visitor Center, ride the first fully hand-carved Carousel built in America since the Great Depression, visit the Rocky Mountain Elk Foundation & Wildlife Visitor Center, see historic Fort Missoula, University of Montana, and more! 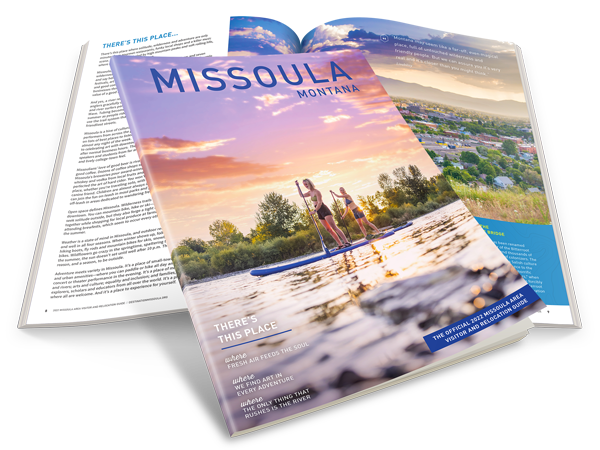 Missoula is Western Montana shopping destination, has many art and cultural events including symphonies, theater, museums and every outdoor adventure imaginable as we are surrounded by millions of acres of wilderness, National Forests, lakes and rivers. We invite you to come and join us!